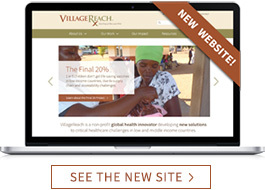 March 19, 2015 – Seattle, WA – VillageReach, a global health innovator that develops new solutions to critical healthcare challenges in low- and middle-income countries, announced the launch of its new website, redesigned in partnership with The Medium, a full-service design studio based in North Bend, WA. The site is the cornerstone of a comprehensive communications update for the 14-year-old non-profit, which also includes new marketing collateral and updated brand assets. The fully customized WordPress site includes an interactive Google map highlighting VillageReach’s global experience, and a comprehensive Resources Library. The library is searchable by multiple categories such as type, topic, geography and project to effectively manage the organization’s extensive documentation of its work including studies, evaluations, reports and journal articles. 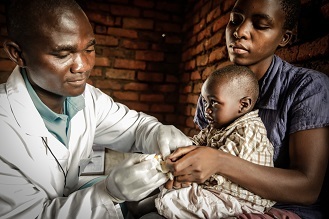 “In the last five years, VillageReach has grown significantly. We have broadened our capabilities and further developed our expertise around core last mile barriers. The web site is a reflection of that growth, and provides a great platform to share our work – with both technical partners and individual donors,” said John Beale, Director of Strategic Development and Social Business Group Lead. Lisa Tuininga, Principal of The Medium, served as the project lead on all aspects of the website redesign and collateral. 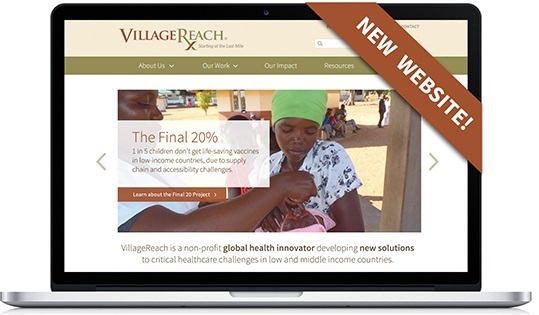 “It has been extremely satisfying to help VillageReach tell their story more effectively, reach a larger audience, and share their wealth of knowledge. We are very proud of the final product,” said Tuininga. 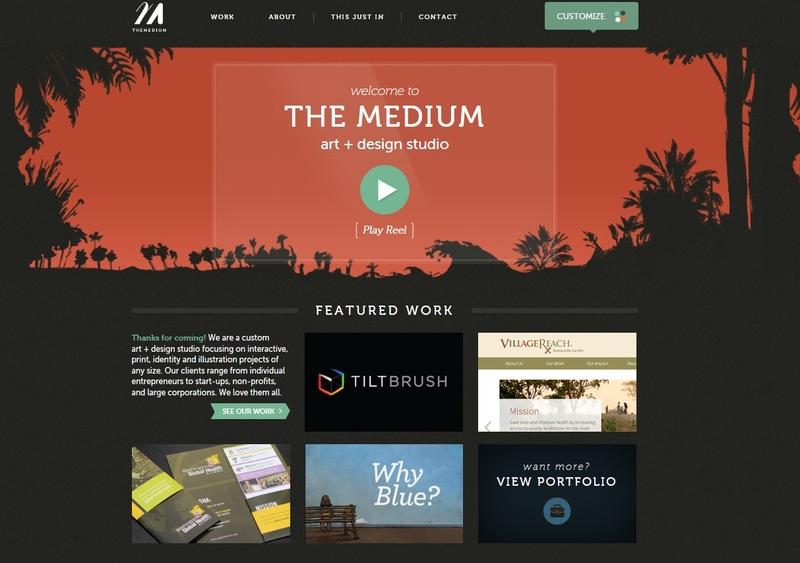 “The Medium tackled our most complex communications challenges with tenacity and creativity. It was a pleasure to work with their talented team of designers and developers. It truly was a collaborative effort,” said Sandy Hawley, Communications and Development Manager for VillageReach. VillageReach is conducting an anonymous survey to assess future areas for optimization of the new site. Your feedback will help us to make additional improvements to the web site and inform our future communications. Thank you for taking this brief survey to share your thoughts and ideas.